Hi everyone! I have finally moved my blog over to wordpress. 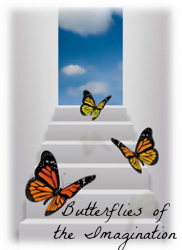 My new URL is http://butterfliesoftheimagination.wordpress.com/. If you're one of my three Bloglovin' followers, I hope you don't mind unfollowing this old blog and following my new blog. And because my three followers are awesome, I think they deserve a shoutout. You'll see that I already published 28 posts in one day. Those are all of my posts from this blog. Due to the lack of import options from Weebly to Wordpress, I had to copy and paste every single post and every single comment. Plus, I had to fix the formatting. It took forever and it was painfully mundane. So that's why I haven't commented on many blogs, posted anything or replied back to comments on this blog recently. I hope you guys understand. Some of you might be wondering why I'm moving my blog, so here are a few of my reasons. Commenting will be much easier for both me and my readers. Switching to Wordpress means that both you readers and I will not have to type in our name/email/website every single time we comment. Also, even though your email will be required, you don't have to put your real email. If you want to keep your email private, just write Privacy@sorry.com. Thanks to Samantha for this idea! I can schedule posts to automatically publish. This way, I don't have to be on my computer every single time I want to publish a post. Also, my posting times will be more consistent. You, the readers will now have more ways to follow my blog. If you've got a Bloglovin' account, then you can follow my blog through that. Don't have a Bloglovin' account? Well, do you have a Wordpress account? If so, you can follow my blog through Wordpress. Don't have an account on either of those? Then just follow my blog through email. And, if you don't have an email...well then you can just check my blog periodically. Wordpress has lots of awesome widgets, such as a search bar, that I can use! Search bars are useful. Very useful. Those are just some of my reasons. While Weebly's user interface is much nicer and it worked well for some of my other web projects, it just didn't work well for this blog. Now please go check out my new blog! I haven't posted anything new yet, but I will soon! This is my first monthly recap, so I'll explain how the monthly recap will work. First I'll highlight some of my posts this month. Then, I'll highlight posts that I liked around the blogosphere. Finally, since this is a Saturday, I'll also do my third Stacking the Shelves Post. I discussed Post-Race Fuel and included some mouth-watering pictures. I shared my experience with a writing critique in my post entitled A Culmination of Teen Arts: The Writing Part. I reviewed The Boy in the Striped Pajamas. I wrote my most popular post yet. It's called Top Ten Things That I Love About Blogging and as of right now, it has 16 comments! Woohoo! Cait and Mime at the Notebook Sisters celebrated their blogoversary with a "party" from May 25-30. Happy Blogoversary to them! My favorite post from their party was Blogger Friend Love + Things We've Learned in Three Years of Blogging. Emily talked about Skyscraper Syndrome and I found that I could sometimes relate. Emily (a different Emily) shared her Top Ten Bookish Dreams, and I basically want everything on her list. Ms. Morrill wrote a series entitled Editing in Layers. The link will bring you to the last post in the series, which also contains links to all the other posts in the series. Samantha discussed different books that she could read next in her post What's Next? Help her decide what to read next by commenting! The Hiding Place by Corrie Ten Boom: My dad recommended this book to me and since I'm kind of going through a memoir phase right now, I thought that it would be a great read. Corrie Ten Boom is such a brave person and I can't wait to read about her life. Peter and the Starcatchers by Dave Barry and Ridley Pearson: Fairytale retellings + Peter Pan = awesome. 'Nuff said. The Impossible Knife of Memory by Laurie Halse Anderson: The cover is gorgeous and I've heard that it's a good book, so I decided to give it a go. Cress by Marissa Meyer: I want to read this book so badly! I read Scarlet and it was so suspenseful! Now I have to find out what happens to Scarlet and Wolf and Thorne and Cinder and Iko and Kai and Queen Levana and Cress and everybody else! Unbroken by Laura Hillenbrand: I'm reading this book for my summer reading. My dad recommended this book to me, especially because it's about a long distance runner and long distance running is one of my passions. How did your month go? Have you read any of the books that I got this week? Which book should I read after I read Cress (because I'm obviously going to read that one first)?